Winter is a great time! Fence installation may not be the first thing on your mind in the winter. Many homeowners think getting a new fence is a project best saved for springtime–but why does it have to be? Believe it or not, there are many benefits to having your fence installed in the winter! Here are the 6 reasons now is actually an opportune time to get a new fence. In the winter, your trees and shrubs are sparse because most have lost their leaves. It may not seem obvious, but this does make fence installation easier! Why? If you have branches and bushes in the way of where you want your fence, they’ll be easier to trim without all their leaves. This is a great help if you’re installing your fence yourself, and it can make the process go more quickly for your contractor. Trees and shrubs are easier to trim when they’re not covered in leaves, but they also won’t keep your yard as private. Unless your plants are all evergreens, your neighbors will be able to see into your yard easily in the winter. If this makes you feel exposed, it may be time for a new privacy fence now! When spring comes along and everyone is scrambling to get their new fence, you can end up waiting quite a while to schedule an appointment with a contractor. During that long wait time, you’re missing out on the many benefits of having and enjoying your new fence! Most homeowners don’t realize the benefits of getting a new fence in winter, and as a result, you may be able to get your fence sooner. If you’re looking for a new fence to replace an old, damaged one, it’s best to do so as soon as possible. Your brand new fence will hold up much better against the cold weather, sleet, and snow storms–but if your existing fence is already cracking and rotting, the damage will only get worse. If you need your fence for security or keeping your dog in your yard, it may cease to perform these functions if a nasty storm hits. Even if your fence is only for decoration, you can end up with an eyesore if your posts tip over or your boards come loose. In the spring and summer, you and your family are likely to be outdoors and enjoying your yard, and having a contractor come and install a fence can be an interference. In the winter, you’ll be indoors getting cozy around the fireplace, and the installation won’t get in the way of any outdoor activities. 6. If you get a holiday puppy, you’ll be able to let him out! The winter holidays are one of the most popular times for families to get new pets–and if you get a dog, you need a fence! Without a secure fence for your new puppy, house training will be difficult, and you may not be able to let him out to play in the yard, so it’s a good idea to get your fence installed now instead of waiting. As you can see, even though many people don’t realize it, winter is an excellent time to get a new fence. There’s no reason to put your project off until the spring. If you want to get a quick appointment and be prepared for winter storms, now is the perfect time for your installation project! 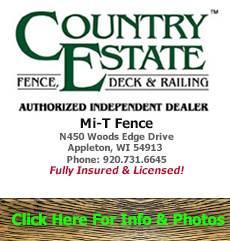 Mi-T Fence is a Authorized Independent Dealer of Country Estate Fence, Deck, & Railing. Check out our idea gallery to get started. 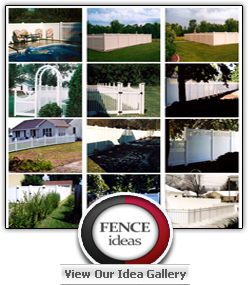 Let Mi T Fence help you plan, design and install your new fence! We are located right in the heart of the Fox Cities in Appleton, WI. Call us today at 920-731-6645.